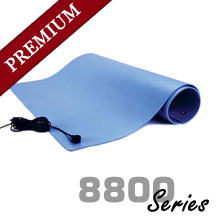 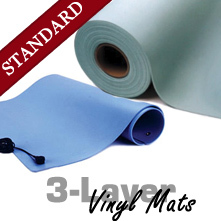 We carry a range of SCS (formerly 3M) mats in various sizes, colors and materials for use with office or manufacturing and industrial environments. 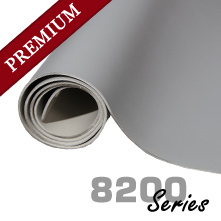 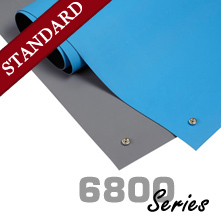 Select from two-layer rubber or three-layer vinyl construction to meet your specific workplace requirements. 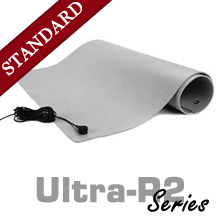 Matting material from SCS can either be used on a worktop or a floor; low profile ground cords are ideal for floor mats and standard ground cords work well with worktop mats.